Oprah Winfrey is being sued for defamation by the former headmistress of her South African girls' school. Winfrey lawyer: "Oprah and Harpo await the opportunity to present the case in court"
(CNN) -- A jury will decide whether Oprah Winfrey defamed the former headmistress of her South African girls school when talking about an abuse scandal in 2007, a federal judge ruled. A trial is set to begin on March 29 in Philadelphia, Pennsylvania, on the defamation lawsuit filed by Lerato Nomvuyo Mzamane against the talk show host and her production company, Harpo. 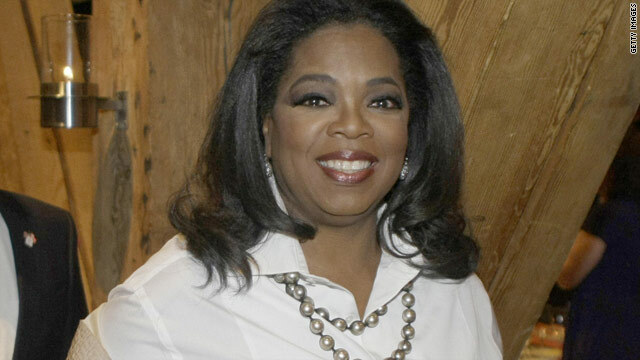 "Oprah and Harpo await the opportunity to present the case in court," Winfrey's lawyer, Chip Babcock, said Tuesday. Mzamane was immediately suspended and later fired after several students at Winfrey's South African leadership academy complained about abuse. A dorm mother was later charged with abusing and assaulting students. The lawsuit contends that Winfrey's statements at a private meeting with parents -- which later became public -- and at a news conference defamed the headmistress by implying she knew of the abuse and covered it up. Mzamane claims the abuse complaints were never brought to her and that Winfrey never let her explain. "Instead Winfrey elected to forego the option of questioning Plaintiff directly as to her knowledge of the abusive conduct and published statements which arguably created the impression that Plaintiff did in fact have some level of involvement in the Dorm Parents misconduct," the suit said. U.S. District Judge Eduardo Robreno issued a decision Monday that said Winfrey's comments could potentially be interpreted by a jury to be defamatory. The ruling, however, dismissed the suit's contention that Winfrey intentionally inflicted emotional distress on Mzamane. The suit quoted Winfrey telling parents that "any person that has caused harm" to students would be let go. In the next sentence, Winfrey said she fired Mzamane because she had "lost confidence" her ability to run the school. Winfrey also told the parents that when students brought their complaints to the headmistress, she "had not taken them seriously," the suit said. "It was my intention by putting somebody in charge who was African, and was female, I believe that she would care as much for these girls as I do myself. I'm sorry I was let down." Mzamane's suit said the damage to her reputation resulted in her not being able to get another education job for a year.